Finally, there is some good news for all residents of Delhi NCR. You can now order all your groceries from your mobile phone, whether you are lying in the bed or travelling across the country for your meetings. 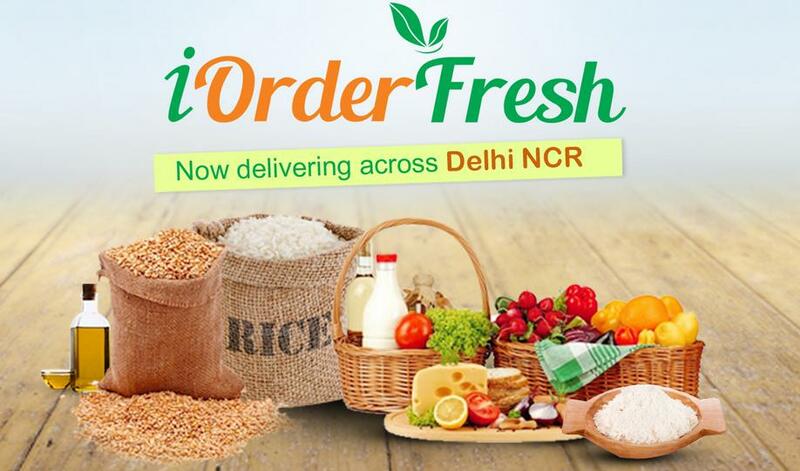 iOrder Fresh promise to get your groceries to you on time every time and delivers across the Delhi NCR region. The iOrder Fresh app is available for both Android as well as Apple devices. Using the App is extremely easy. All items have been categorized well so that they are easy to find and order. You can simply tap on items to include them in your cart. The cart is saved, so you could add an item in the morning and one late in the evening and continue doing so till you are happy to checkout. Standard payment options are available, along with the recent addition of Paytm wallet that makes the experience even smoother. iOrder Fresh also has the facility to avail credit for your account while also letting you earn credit for referring this App to your friends. So enjoy the hassle free grocery shopping experience from your smartphone and even enjoy free credit for referrals when you use iOrder Fresh app.